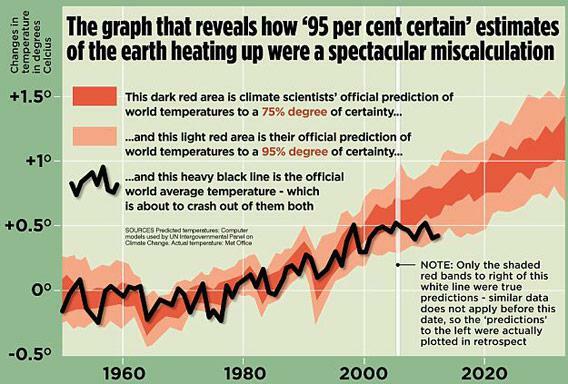 The graph of temperatures versus predictions that is the source of all this misleading woe. Where’s the heat? Click to entropenate. 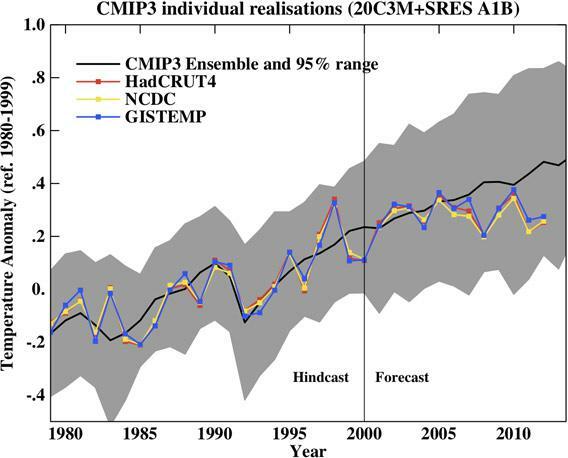 Global surface temperature measurements and predictions over time. What we’ve seen is that Rose isn’t interpreting the graph correctly, and even if he were his claim of global warming having “stopped” is wrong because he’s only looking at surface air temperatures. But his problems go even deeper than that: He’s also only looking at the past few years of data. But you have to be very, very careful when looking at short-period fluctuations! 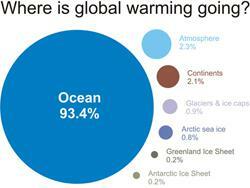 They can fool you, and extrapolating them is very dangerous if you don’t know what you’re doing. * Correction (Mar. 19, 2013): It’s come to my attention that my original phrasing about statistics in this graph was technically incorrect. This was due partially to a difference between the way astronomers and climatologists talk about statistics, but also because I was trying to simplify a complicated mathematical discussion to make it understandable, and I oversimplified (not only that, but Rose himself messed this up in his article and I followed what he said; a mistake on my part). I originally said, “The light red band is the temperature prediction with a 5 percent – 95 percent confidence. Confidence levels are a statistical way of measuring how well you can trust the data you see. Something at the 95 percent level means there’s only a 5 percent chance the numbers are due to random noise, for example.” There is a difference between confidence intervals and certainty ranges, and that’s what I oversimplified. I corrected the affected text above. The last sentence about random noise was just an error on my part, though; it’s also fixed in the text above. My thanks to Dave Cade at Oregon State for straightening me out, and any remaining errors are my own. Please note this doesn’t really change anything in my post; Rose is still wrong, and the Earth is still suffering global warming. I may have more about this later; the modest slowing of warming is interesting, even if it is not an indication that global warming has stopped.